Home improvement specialist Home Depot on Tuesday said they were working with authorities to investigate a possible security breach that may have resulted in the theft of customers’ credit or debit card data. The Atlanta-based company said they are aggressively gathering facts and would immediately notify customers if they confirm a breach. 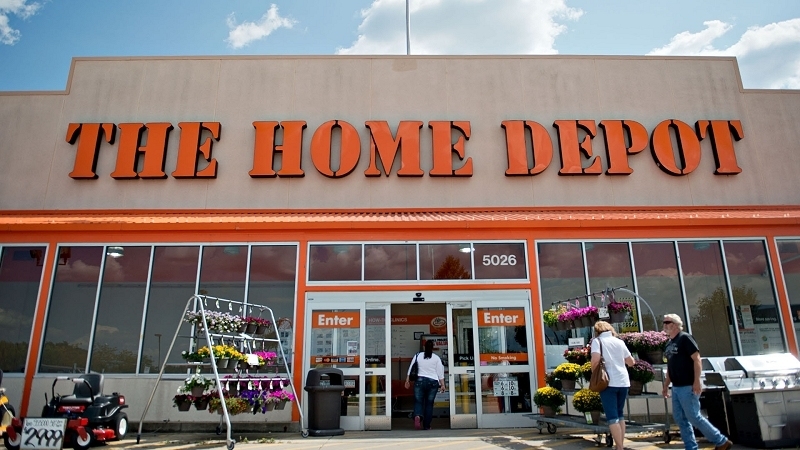 A Krebs on Security report claims multiple banks are seeing evidence that Home Depot stores may be the source of a massive batch of stole cards that went on sale on the black market Tuesday morning. Krebs further points out that there are signs that this attack was perpetrated by the same group of Russian and Ukrainian hackers responsible for recent breaches at Target, Sally Beauty and P.F. Chang’s, just to name a few. As evident by the image above, the motive appears to be political retribution against recent US and European sanctions put in place against Russia due to its aggressive actions in the Ukraine. The batch of cards for sale is split into two groups: those issued by European banks and those issued by American banks. The scope of the attack could be massive as preliminary analysis indicates the breach may have extended to all 2,200 Home Depot stores across the US. Several banks told Krebs that they believe the breach may date all the way back to late April or early May of this year. If true, we could be looking at a breach that is several times larger than the Target Black Friday attack late last year.